Get an early review of this season’s top potential Academy Award nominees with these images from Shutterstock Editorial. In 1929, the audience at the first Academy Awards hovered at just around 270 people, and each of them paid $5 to attend. Nearly a century later, Oscars night is one of the most glamorous and highly-anticipated events of the year, drawing an estimated 25-35 million television viewers in recent years. Whether you’re in it for the films, the red carpet fashion, or the inspiring speeches, the 2019 Awards promise to deliver outstanding performances, newsworthy moments, and their fair share of surprises. On February 24th, the Dolby Theatre in Hollywood will host the 91st edition of the Academy Awards. We curated this collection of stirring imagery from just nine of this year’s buzziest titles in hopes of whetting your appetite for what’s to come. 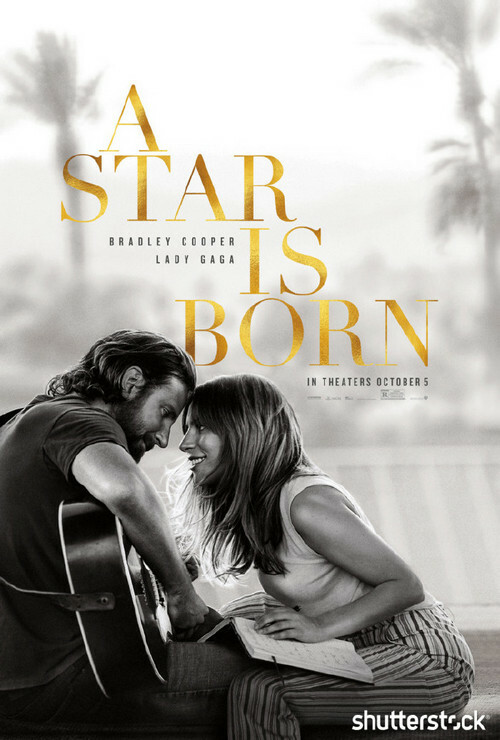 Country music star Jackson Maine (Bradley Cooper) discovers a talented singer-songwriter named Ally (Lady Gaga) while visiting California, determining to bring her out of the shadows and into the spotlight. They fall in love, but as Ally’s career soars, Jackson grapples with substance abuse, and together, they must face the realities of addiction and loss. Cooper’s directorial debut has been favorited for a Best Picture nomination for months, and while the Golden Globes snub might have slowed its momentum a bit, this film remains a favorite across most major categories. 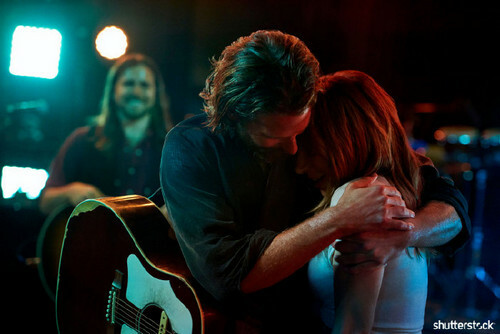 Cooper and Lady Gaga are among the top picks to win for the Best Actor and Best Actress Awards. Cooper is on track to produce, direct, and star in Bernstein, a musical picture about the life and times of the composer Leonard Bernstein. Based on the New York Times bestselling memoir by Ron Stallworth, BlacKkKlansman tells the story of a Colorado detective (John David Washington) who, in the 1970s, went undercover in the Ku Klux Klan. As Stallworth impersonates a member over the phone, his colleague Flip Zimmerman joins the mission for in-person meetings, and together, they expose the dangerous reality of the Klan’s intentions. Though it’s set nearly 40 years ago, this film seems especially resonant today. Lee will bring Roger Guenveur Smith’s one-man show Frederick Douglass Now to the screen, following on the tails of their previous collaborations for A Huey P. Newton Story (2001) and Rodney King (2017). In this 18th century period drama, the court of Queen Anne (Olivia Colman) is colored by an intense rivalry between two cousins, Anne’s advisor Lady Sarah (Rachel Weisz) and her servant Abigail (Emma Stone). With the Queen’s health deteriorating and the country at war, both Sarah and Abigail must compete for her affection and political influence. According to recent predictions from Entertainment Tonight, The Favourite is likely to join A Star Is Born, BlacKkKlansman, and Black Panther with a Best Picture nomination. Expect to see Olivia Colman on the Best Actress roster as well, with Rachel Weisz and Emma Stone in the running for Best Supporting Actress. Dubbed “2019’s queen of the screen” by The Guardian’s Sarah Hughes, Colman is set to take over the role of Queen Elizabeth II on Netflix’s The Crown. She also stars as Madame Thénardier in Les Misérables on MASTERPIECE on PBS and BBC One. In the wake of his father’s death, T’Challa aka Black Panther (Chadwick Boseman) ascends to the throne as the King of Wakanda, a fictional kingdom in Africa. But in order to maintain power and protect his people, he must face the supervillain Erik Killmonger (Michael B. Jordan) and decide the future of Wakanda and its place on the world’s stage. Film critic and Los Angeles Times columnist Justin Chang names this blockbuster as one of his personal faves for the year, with Oscar wishes in categories ranging from Best Picture and Best Director to Best Adapted Screenplay and Best Original Score. Michael B. Jordan will also likely find himself in the running for Best Supporting Actor for what GQ has dubbed an “iconic performance” as Killmonger. Following his role in Creed II, Jordan will star in the 2020 film Just Mercy, based on the book by the civil rights attorney and Equal Justice Initiative founder Bryan Stevenson. 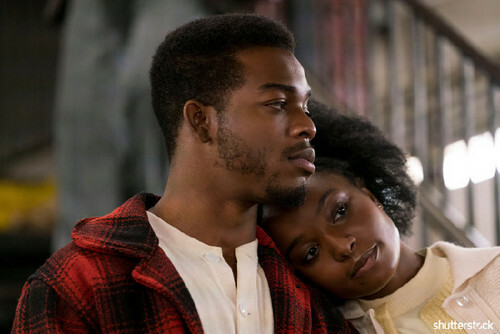 Based on the novel by James Baldwin, this film stars KiKi Layne and Stephen James as Clementine “Tish” Rivers and Alonzo “Fonny” Hunt, two young people deeply in love in 1970s New York City. 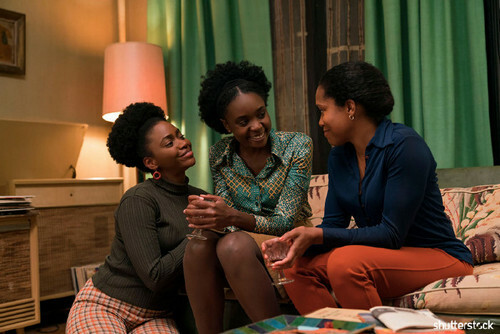 As Fonny is imprisoned for a crime he didn’t commit, Tish discovers that she is pregnant, and their families must navigate uncharted terrain, all the while searching for hope and justice. Jenkins will direct every episode of Amazon’s television series The Underground Railroad, adapted from the novel by Pulitzer Prize winner Colson Whitehead. 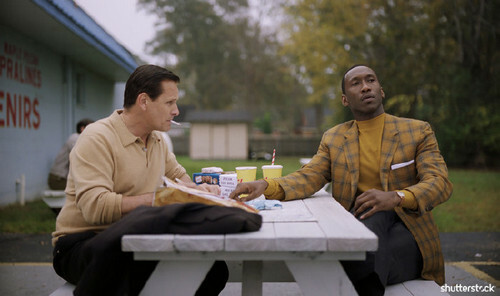 In the 1960s, the jazz musician Don Shirley (Mahershala Ali) embarks on a tour through the Deep South, accompanied by his driver Tony Vallelonga (Viggo Mortensen). As Tony, who is white, learns about the painful realities of discrimination and segregation, while Don, who is black, helps him write heartfelt letters to his wife back home. Together, they navigate subjects ranging from personal family matters to widespread racism in the United States. 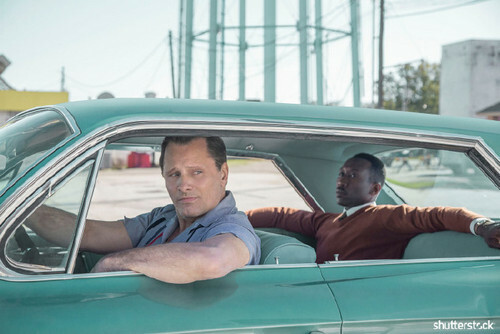 Though some players behind the Green Book have been the subject of controversy in recent weeks, the film made a splash with three wins at the Golden Globes, including Best Motion Picture—Musical or Comedy, and it’s likely to appear across categories at the Oscars. Chances are looking especially good for Supporting Actor Mahershala Ali, who also took home the Golden Globe and, previously, won the Oscar for his performance in Moonlight. Ali stars in Season 3 of the HBO crime series True Detective, on television screens now. In the not-too-distant future, the dogs of a dystopian Japanese city have been exiled to a place called Trash Island to prevent the spread of a new flu. When 12-year-old Atari Kobayaski (Koyu Rankin) goes on a courageous search for his dog Spots, a pack of Trash Island residents, led by a canine named Chief (Bryan Cranston), come together to help. This film touches on themes as wide-ranging as global politics and the animal-human relationship, all illustrated with magical stop-motion animation. David Levesley of GQ places Wes Anderson’s ninth film as a top contender for Best Original Screenplay. Be sure to keep an eye out for this one in the Best Animated Feature category as well. For his tenth film, The French Dispatch, Anderson will set his sights on Paris in the 1950s. Though few details have been revealed, the movie will follow the story of newspaper journalists at an American bureau. 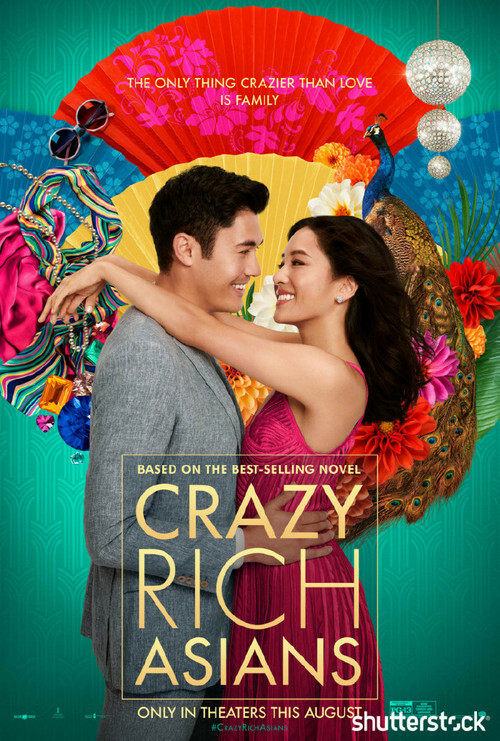 When the New York City-based professor Rachel Chu (Constance Wu) travels to Singapore with her boyfriend Nick Young (Henry Golding), she learns that his family is one of the wealthiest in the country. As Rachel seeks approval from Nick’s family, she must navigate complex cultural and economic differences. This pop culture sensation stands a chance at a surprise Best Picture nomination, showing up amongst a pool of more obvious contenders. Yes, it might be a long-shot, but with a Producers Guild nomination and a Critics’ Choice Award for Best Comedy under its belt, this high-grossing romcom could change the game. 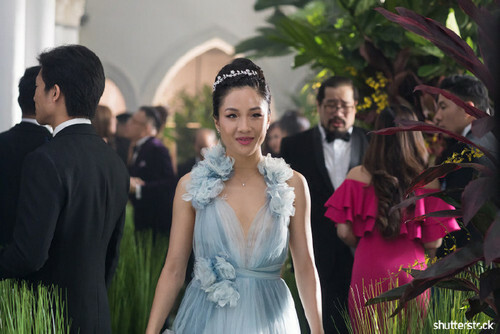 A sequel based on China Rich Girlfriend, the second book in Kevin Kwan’s trilogy, is up next, with much of the same team returning, though dates have not been confirmed. 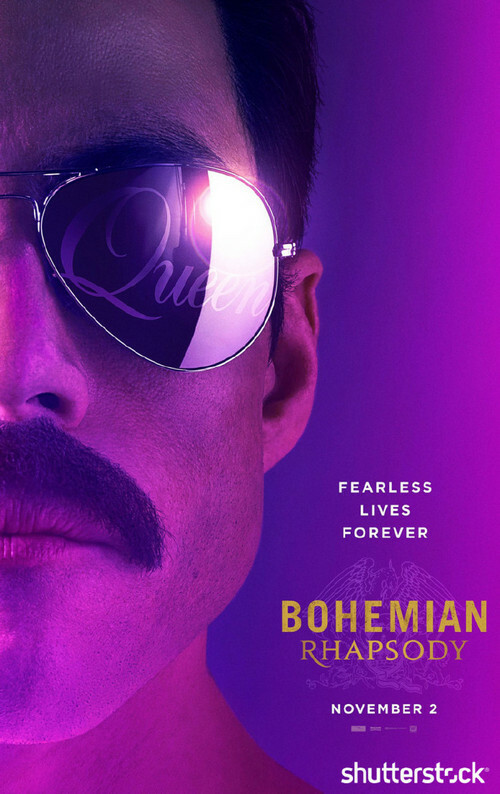 This biopic follows the life of Freddie Mercury (Rami Malek), the lead singer of the band Queen, as he contends with fame, relationships, and loss. 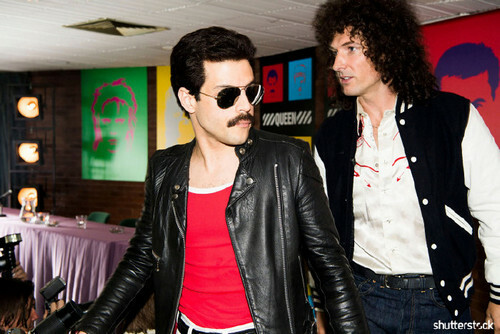 A celebration of Queen’s music and Mercury’s personal legacy, including his role in breaking stereotypes and raising awareness about AIDS, this film begins with Mercury’s introduction to the band and culminates in their iconic 1985 performance at Live Aid. A runaway hit at the box-office, this somewhat unexpected Golden Globe winner has made itself known as a strong contender come February 24th, in both the Best Picture and Best Actor categories. In 2019, Malek will continue his starring role in the fourth and final season of the critically-acclaimed drama Mr. Robot on the USA Network, and in 2020, he’ll return to the big screen in The Voyage of Doctor Dolittle. >Keep Your Child’s Skin Moisturized.There are different eczema trigger factors, which can lead to an outbreak.These trigger factors may include dust, stress, sweat, and laundry detergent.However, for some children, the cause is nothing more than dry skin. We instinctively want to touch and itch dry skin to provide relief and children do the same. Moisturize your child each day.Their itching may not completely cease, but you should notice an improvement.When moisturizing your child, aim for application throughout the day. However, the most important step is to moisturize their body immediately following a bath or shower. Your goal is to lock in the moisture.If your child is old enough, get them in the habit of reaching for moisturizer each time they feel the need to itch.Protect Your Child’s Skin.Eczema outbreaks are typically severe in small children.They don’t understand the complications that can arise from constant scratching; therefore, they continue to itch.If your child is old enough, have an eczema discussion with them. Encourage them to apply lotion or inform you whenever they feel the need to itch.However, for small children, such as toddlers and preschoolers, you need to protect your child’s skin yourself.As previously stated, the first line of protection is constant moisture. The second is to keep the area prone to outbreaks covered.This is especially important at night, as some children actually scratch their arms and legs in their sleep. When later asked, some are even unaware of their actions.The less direct contact the fingernails have with the skin, the less damage is done.Seek Medical Attention for Skin Infections.Most cases of eczema in children can be treated at home.However, children are at an increased risk for skin infections.Eczema creates the uncontrollable urge to itch. Your child may continue scratching until the skin is broken, leaving an open wound.Children will be children and that means coming into contact with many germs and bacteria.Combine these with an open wound and there is an increased risk for a skin infection.Treat your child’s eczema at home, but seek medical attention if you suspect the onset of infection.As a parent, you are unable to cure your child’s eczema, but you help protect them from the lifelong complications, such as scars. Copyright © 2016 Information from public sources on the Internet.